I have a fantastic recipe that I made for my family this week and they loved it. I want to share it with you because its a fun new way to have Taco Night but with a new twist. This is a great low carb meal for any night of the week. Place 1/4 cup of salsa in the bottom of a large baking dish. Using a small spoon to hollow out the center of the zucchini halves, leaving 1/4-inch thick shell on each half. 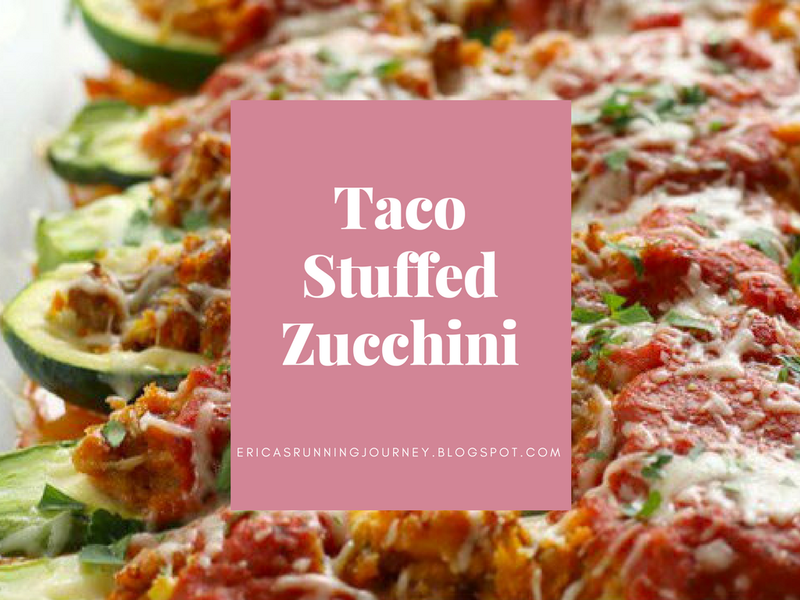 Chop the scooped out flesh of the zucchini in small pieces and set aside to add to the taco filling. Brown ground beef in a large skillet, breaking up while it cooks.Drain meat once cooked and add back to pain. Add the reserved zucchini, seasoning and water. Stir and cover, simmer on low for about 20 minutes. Using a spoon, fill the hollowed zucchini boats dividing the taco meat equally. Top each shredded cheese. Cover and bake until cheese is melted and zucchini is cooked through. Top with your favorite items and serve with salsa on the side. You can follow along with me below as you make your dish! See you in the next post! Be sure to subscribe and follow along so you never miss out!